More than 2 million Americans will suffer from addiction to opioids in 2018. 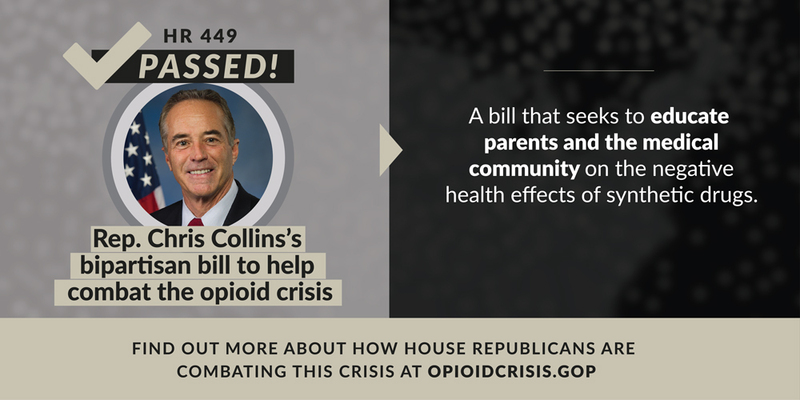 Text CRISIS to 50589 to find out what Congress is doing to combat the opioid crisis. The underlying text of H.R. 6 includes several Medicaid, Medicare, and public health reforms to help combat the opioid crisis. The policies contained in the bill were advanced through regular order by the House Energy and Commerce and Ways and Means Committees. H.R. 6, the Substance Use-Disorder Prevention that Promotes Opioid Recovery and Treatment (SUPPORT) for Patients and Communities Act, is a bipartisan bill that will help in our overall efforts to combat the opioid crisis by advancing treatment and recovery initiatives, improving prevention, protecting our communities, and bolstering our efforts to fight deadly illicit synthetic drugs like fentanyl. 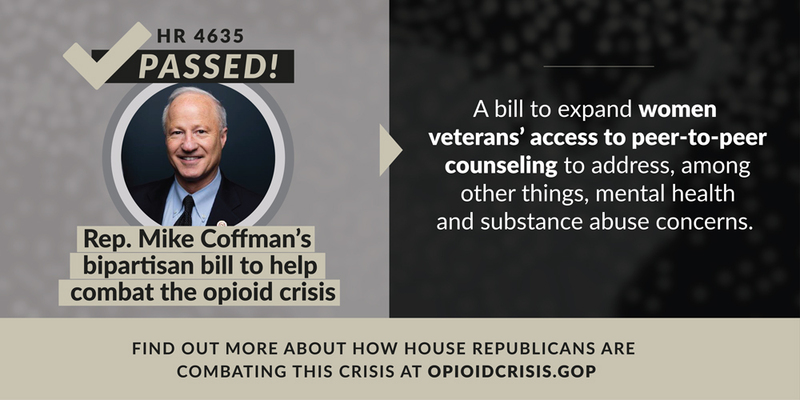 This bill is the vehicle by which the majority of the bills to combat the opioid crisis will move over to the Senate. 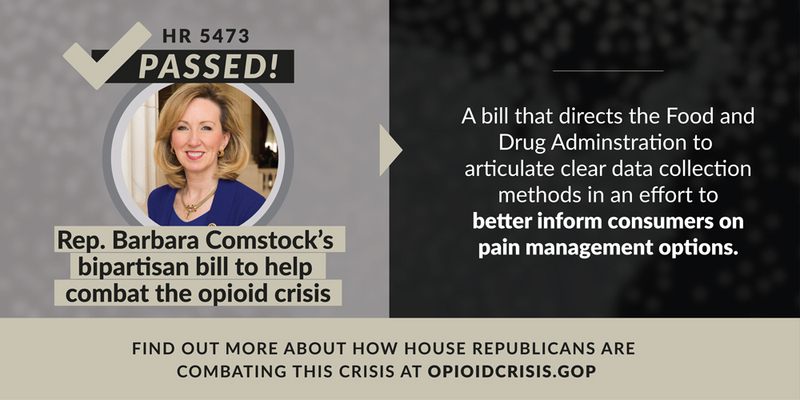 What do you think about House Republicans' efforts to combat the #opioidcrisis? The opioid crisis is wreaking havoc on families and communities all across America. Hundreds of thousands of American lives have been cut short by prescription drug abuse. 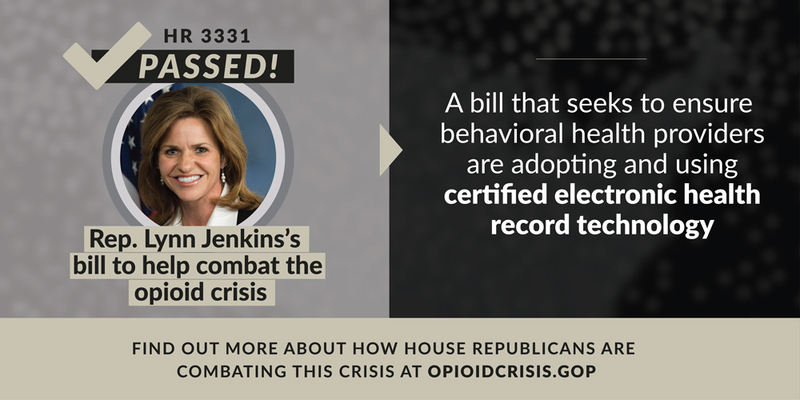 That is why House Republicans have made combating this crisis a top priority.